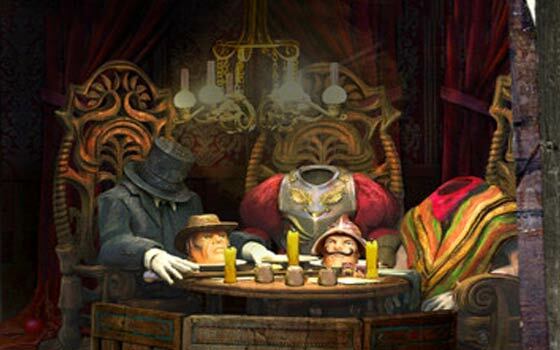 We’ve listed the best hidden object games for iPad for all those of you who simply love to search for items embedded within a specific scene. Titles such as these are available by the dozen on the Apple App Store and they aren’t even categorized under a specific genre. 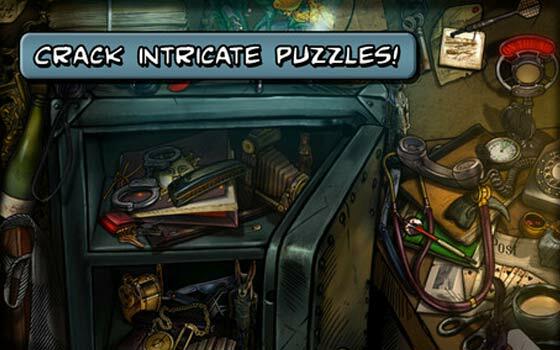 You’ll find them spread across the puzzle or adventure sections over at iTunes. So how do you know exactly which ones are considered the best? Well, we’ve scanned through quite a few names and zeroed in on this particular bunch of titles. Take a peek. When you think about this particular genre, what’s the first name that might pop into your head? Well for many, they would jump up shouting out ‘Where’s Waldo.’ For more than 2 decades, individuals have scouted around a plethora of sceneries, trying to spot the lanky fellow wearing spectacles and a white and red striped hat and shirt. Well, it’s time to bring that fun to the virtual world with this particular title. Here you can expect to see some great HD graphics, additional quests and a new Party Mode where you and your friends can compete against each other to see who has the sharpest eyes among the lot. Developer Ludia has also thrown in a few interesting features like Frosty, Upside Down, Wacky Paint, Thunder Clap and Sparkly. This entrant in our roster jumps right out from the house of Big Fish. Here you’re called on to rescue a young lass who has been kidnapped by a menacing shadow. You can turn to a mystical locket and magical creatures for help while on your quest. During your journey through the magnificent world that’s filled with ethereal streams and bountiful forests, you’ll have to uncover wonderful secrets and solve complicated puzzles. When you unlock the Collector’s Edition from within by shelling out just under $7, you’ll get a goodie bag that comprises of a built-in strategy guide, bonus content, an exclusive soundtrack, concept art, cutscenes and wallpapers. 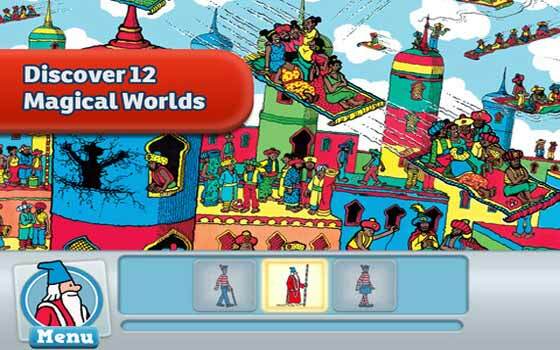 Here’s another free gem from the same company that unleashed the aforementioned delight. 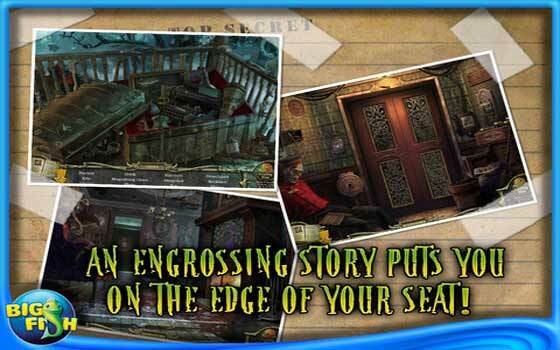 This engaging title brings you back to the familiar grounds of the haunted Ravenhearst Manor. You’re invited by the maker to search spectral scenes for the truth and solve the mystery of this spooky place. You can even show off your success on the exclusive leaderboards. And it involves more than just simply finding concealed items within a cluttered scene. There’s also a captivating storyline attached to this title. During your escapades, you must free the shackled souls that are trapped within the haunted manor. To unlock the complete version, you have to shell out just under $5. 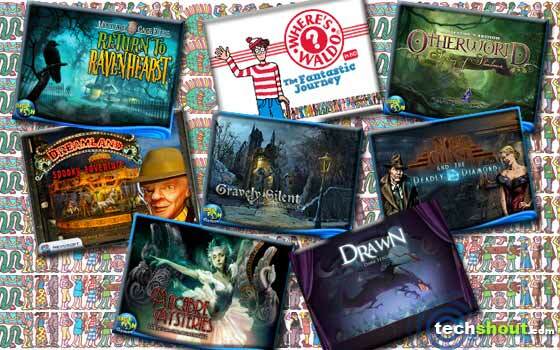 Craving for an extra helping of spine-chilling thrills? Well, how about checking out this particular inclusion in our array? The spooky storyline here takes place within the confines of an old abandoned amusement park where an evil dwarf resides. The job of this recluse is to collect the souls of anyone who dares enter his territory. And besides just dabbling in HOG fun, you can also try mini-activities like outsmarting swindlers in the shell trick and opening a number of complicated locks. Adding to the eeriness of the situation is the spectral-filled atmosphere, an apt soundtrack, professional voicing and spectacular locations. The full version can be unlocked by parting ways with $5.99. The developer beckons you with the line, ‘save your sister from the grave.’ The title is packed to the hilt with loads of dark and dreary scenes that are littered with items. There are lots of nooks and corners to explore here. Search through fantastic scenes to spot valuable clues that will help uncover the mystery of your sister’s sudden disappearance. 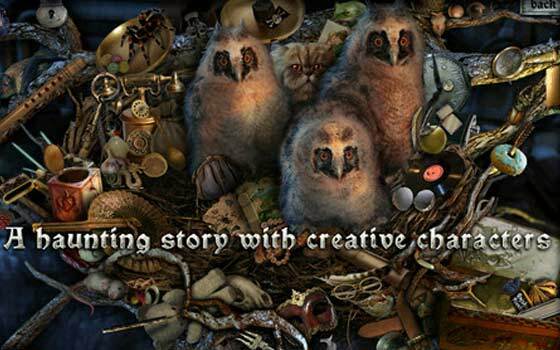 Get set to immerse yourself into a haunting storyline that’s filled with creative characters. By spending $6.99, you can unlock the Collector’s Edition for bonus content, mini activities and an extra bonus level. Nick Chase wants another round of adventure and action in this spectacular contender in our roundup. It all starts when he receives a mysterious ancient artifact at his favorite bar. All set to take on a new case, he proceeds by exploring deeper into the curse and its various intricacies. The graphics found embedded within the immersive storyline are splashed across in a gritty film noir style. The price to unlock the complete edition is $4.99. A dark mystery shrouds the Nightingale Theater that was badly burnt by a blazing fire nearly half a century ago. And thanks to a letter and a golden ticket from your grandfather, you’ll be able to attend an outstanding ballet performance and uncover the mystery of the theater. 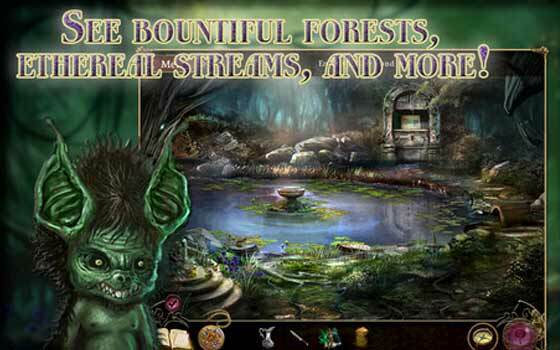 Adding to the spooky theme are elements like hypnotizing scenes, eerie music, morphing macabre items and haunting images. There’s also a paid version of the title that’ll cost you $4.99. Our final gem is noted to be the sequel to the title Drawn: The Painted Tower. 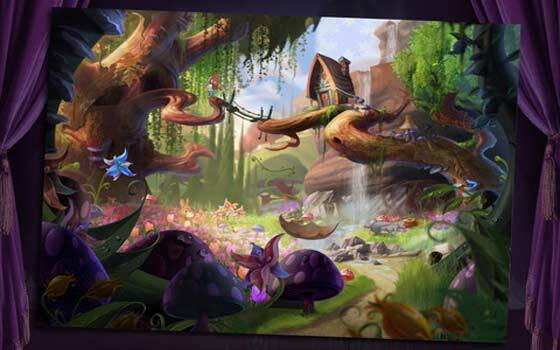 After successfully making it out of the tower, Iris must now explore the Kingdom of Stonebriar and step into fantastic colorful worlds through spectacular paintings. As the developer reveals, there are more than 100 screens to take advantage of here as well as gestural navigation and an original music score. You can also pick up the paid edition for $4.99. HOG as it’s popularly called, isn’t a new phenomenon. This particular category has been around for years, capturing the hearts and eyes of many. We had even jotted down some acme names for all you PC players who love to dabble in this genre. Now it’s time to cater to Apple tablet enthusiasts who want to enjoy this sort of entertainment while on the go. 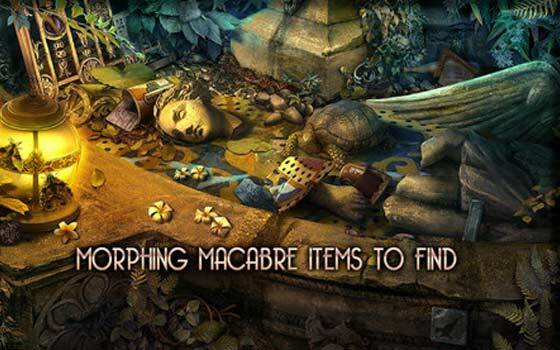 So if you fall under this specific niche, go ahead and dive right into all of the aforesaid best hidden object games for iPad. Good luck finding the cleverly concealed items and don’t forget to return with tales of your favorite titles.